"Join us as we travel through time and explore US history with a musical twist! Learn about the origins and controversies of America’s national anthem, discover the evolution of spiritual music into blues, jazz, rock n’ roll, hip-hop, and R&B, and live out your dream of becoming a hip-hop DJ by learning a funky beat, all with your local guide by your side! Join us for a quirky tour of one of the most historic (and underrated) buildings and museums in Washington DC. Dive into American history through art while your local guide regales you with amazing tales of the power players who shaped the country all while taking in one of the world’s largest collections of art. 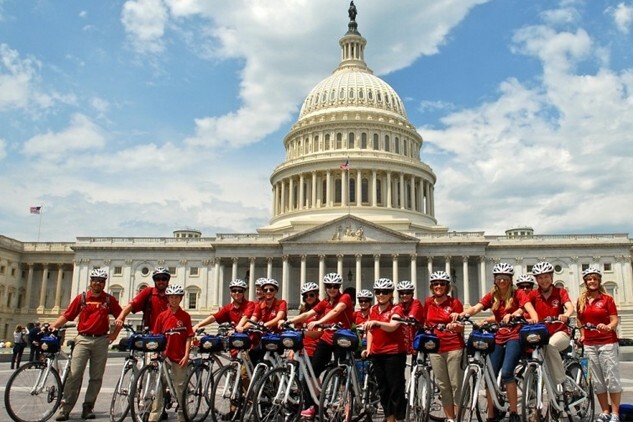 The Capital Sites guided bike tour is the best way to start your visit in Washington, DC. 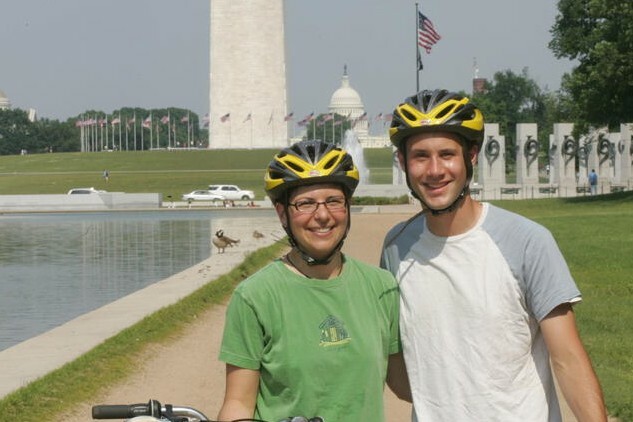 Get up close to the monuments and memorials as you Bike the Sites® of Capitol Hill and the National Mall. This 2-hour fully-narrated Night Tour lets you discover the nation's capital in a different light. 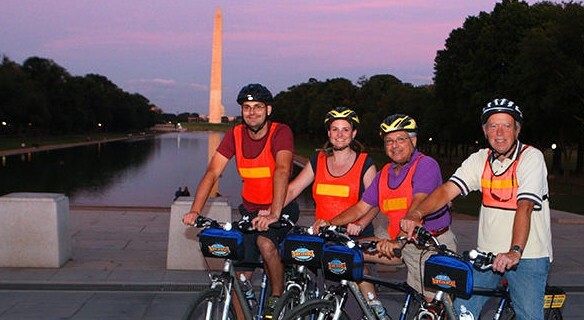 Bike the Sites® the along the National Mall and along the Potomac Tidal Basin! 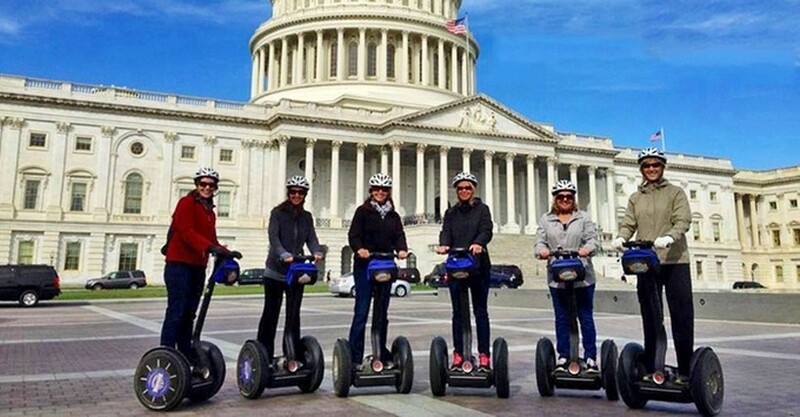 Enjoy full access to everything Washington DC has to offer with access to all three of the Big Bus Tours -- the Red, Blue and Yellow loops. Take a break from the monuments and memorials and enjoy an afternoon of lighthearted fun at Madame Tussauds Wax Museum Washington DC! View the most famous monuments and landmarks, rich with history, lessons in government and honoring famous Americans from our forefathers to today’s leaders! Through interactive experiences and immersive environments, you will examine real spy stories and see hundreds of authentic tools of espionage! Newseum is one of Washington DC’s most popular attractions – a rising star in a city known for its world-class museums. An overview of the National Mall from the Capitol, including the White House, Pennsylvania Avenue and more! Monuments At Night guided bike tour is the ultimate Washington DC highlights tour!